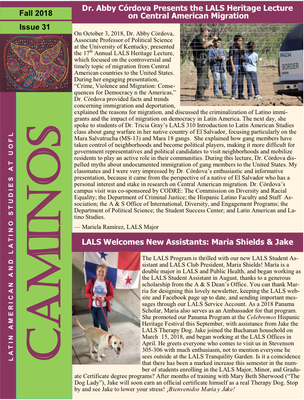 The LALS newsletter comes out every semester. For a copy, click on one of the links below. If you do not have Adobe Reader, you can download it from this page.